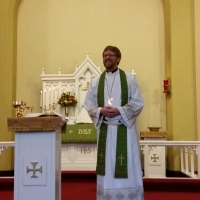 The congregation of Trinity was thrilled to welcome Pastor Timothy Feiertag at his installation service on January 17th. We look forward to many years of ministry together. Come and meet Pastor Tim as he leads worship service each Sunday at 10 a.m.